"If you are thinking about taking photos with Casey, do it! 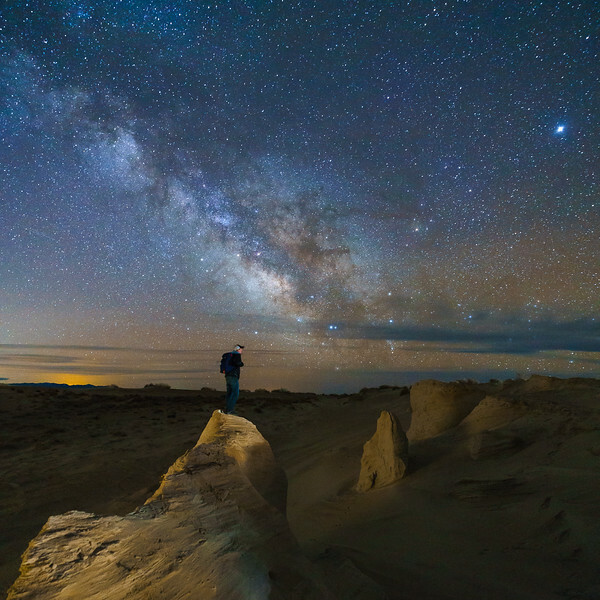 He really knows how to capture the night sky and will go the extra length to get an extraordinary photo, like standing in cold water or lugging a dance pole out into the middle of a desert! He has the art of photography down to a science, and was great at directing me (Look this way, chin up, point your toe, etc). I felt like he captured me in a flattering and unique way. I was very pleased and excited by the results." "I cannot say enough good things about Casey! He's so fun and easy to work with and really cares about getting the best images as well as making it an enjoyable and comfortable experience. He and his wife Erin make a great team and make sure your needs are met. And the images always turn out stunning! I cannot wait to work with him again!" "YEEHAW, you are amazing; these shots are out of this universe! Thank you so much for your hard work!! !